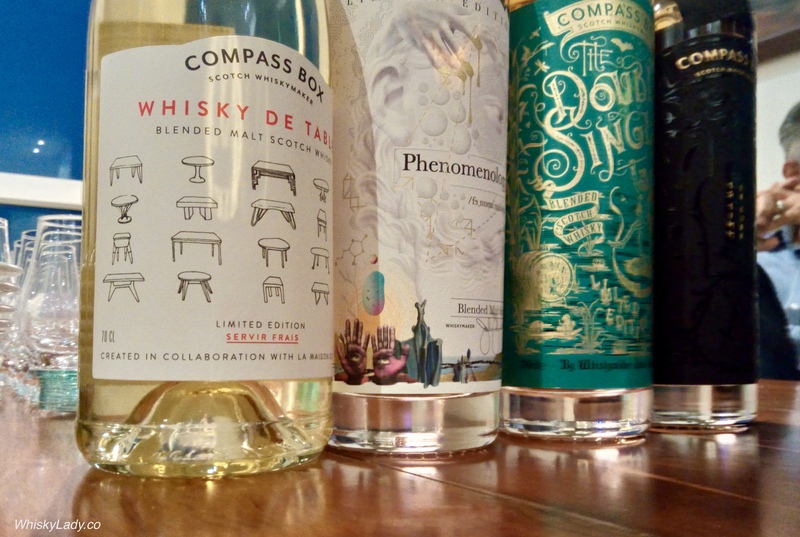 Next in our Compass Box quartet explorations was a true conversation starter… every element had something different to deliver. There was no mistaking this is a complicated and contradictory whisky – a nose which is almost elusive in character initially. Then a palate that made an extraordinary arc from subtle and nuanced to needle sharp spice. Even the finish provoked a debate – some suggesting it was remarkable by its absence and equally strong opinions it was there if only one tuned in to its quiet frequency. Well named and well constructed to be discordant yet harmonious too. Flavour Descriptors Aromas and flavours reminiscent of berry fruits, baked apples and hints of banana, with a delicate peaty-smokiness that follows and resonates in the long finish. Recommendations This is an ideal whisky for sipping and contemplating on its own, or with a splash of water or an ice cube which will reveal subtle complexities. 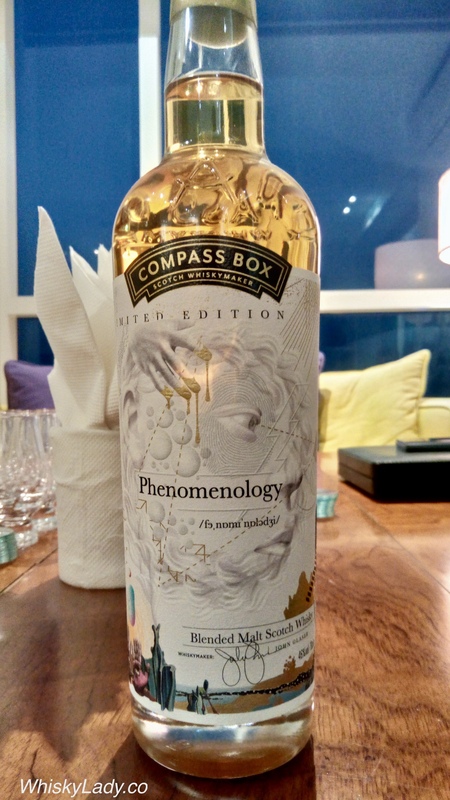 This entry was posted in Blends, Scotland and tagged Compass Box, Phenomenology by Carissa Hickling. Bookmark the permalink. I’ve always said that Whisky and philosophy are made for each other. And if you had come across my WhatsApp statement you know what I mean!! Well said! And yes – looking forward! !